Are you fully utilizing the Internet’s vast arsenal of resources to market your chiropractic practice? More specifically, is video marketing on YouTube a component of your Internet marketing strategy? As the second largest search engine (just behind Google), you can use your YouTube channel to deliver valuable information to prospective patients while painting a clear picture of your chiropractic practice. A compelling video marketing strategy opens the door for prospective new patients to become familiar with you, your staff, and your office. It’s a way to market yourself with a personal, more “human” touch. Consider this: Nearly a billion unique users visit YouTube each month; and over 4 billion YouTube videos are viewed each day. Sign in to YouTube using your Google account (or create one, if you don’t already have one). Note that if you have a Google Local listing, you should sign in with the same account. This connects both your YouTube and Google+ profiles, making it easy to update and navigate between the two platforms. After logging in, click “My Channel” on the left-hand menu. This is where you will configure your channel. Now that you’re in the dashboard, click the “Add Channel Art” button to upload a branded image to your channel. You can then click the pencil icon in the top-right corner to add links to your website and social media pages. Also, give your channel a description- describe your practice and what kind of content you’ll be providing. At the top right corner, click the “Upload” button to publish your first YouTube video! Be sure to “tag” any videos you upload with descriptive words or phrases so they show up in search results. 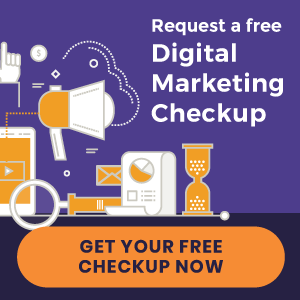 Videos are an important component of your online chiropractic marketing strategy, and YouTube is not only one of the most used search engines, it is far and wide the most popular website for video publication. If you aren’t already sharing your practice videos on YouTube, now’s the time to start. It’s a simple, effective way to expand your online presence while reaching out to a broad pool of prospective new patients.